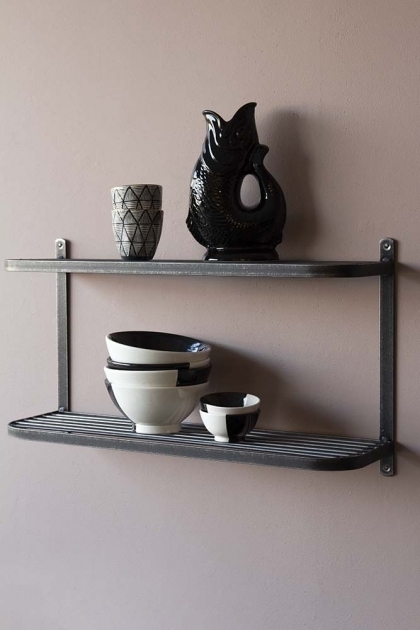 We love the authenticity and grit of industrial living and no matter what your décor or home interior style is, we think that versatile industrial pieces like the Steel Double Wall Shelf will fit in beautifully with your interior style. Measures: H40cm x W70cm x D20.5cm, H includes wall brackets. H between shelves 27.5cm. 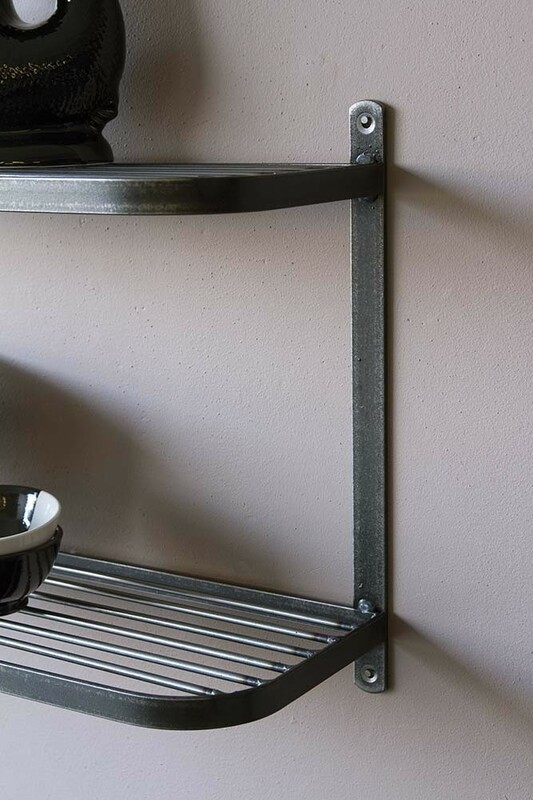 Space between shelf bars 2.3cm. 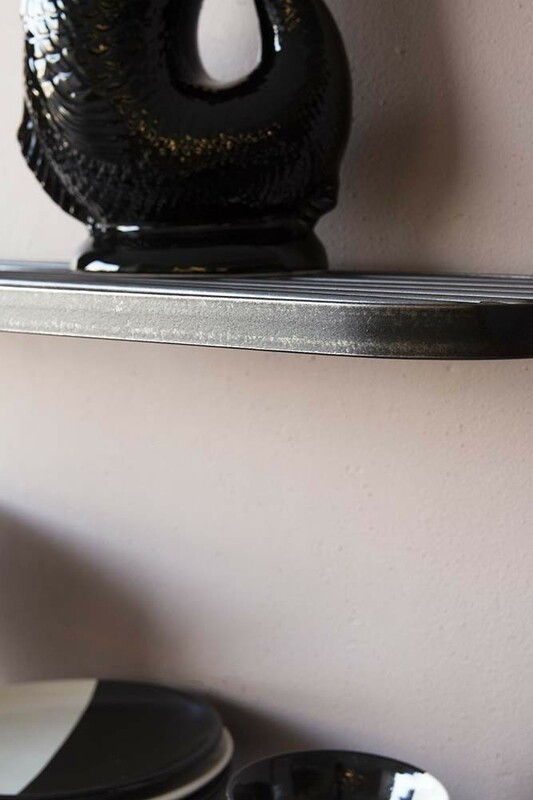 Material: Crafted in Steel Comes with a Matt Lacquer Seal. Please note: Welding marks will be visible due to the nature of the material and manufacture.